The electroAcoustic InteRactive Bed is an interactive system designed for performance art and installations. 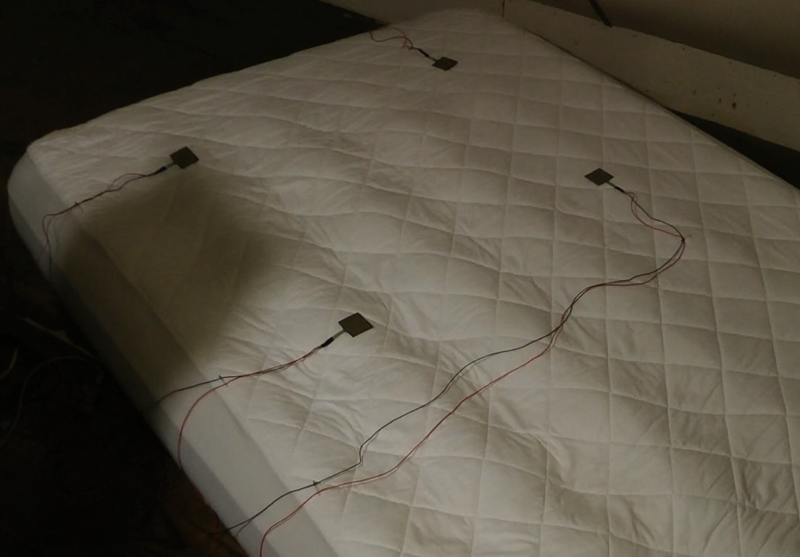 Four Force Sensing Resistors (FSRs) are sewn into a mattress pad that fits on top of a full size air mattress. Sensor data is interpreted by an Arduino, which sends the data to a computer. Software built in Max translates this movement data into sound.